Getting a display to work in a corner booth used to be a problem. Not any more. 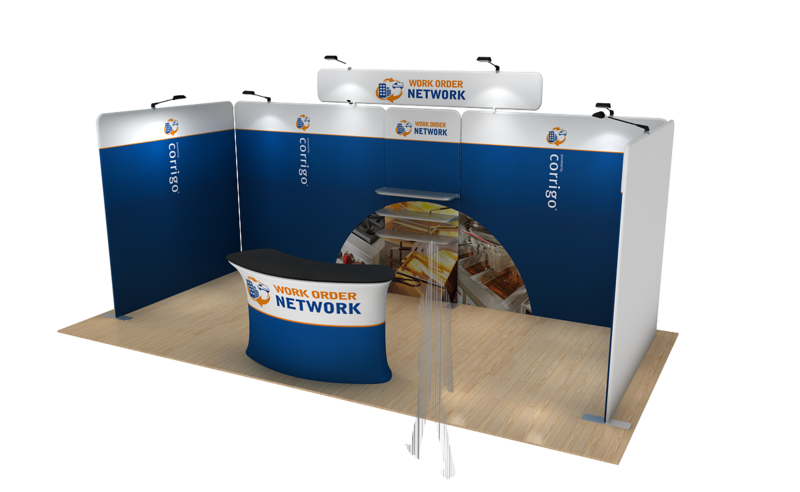 The modular corner exhibition kit is designed with a corner booth in mind. 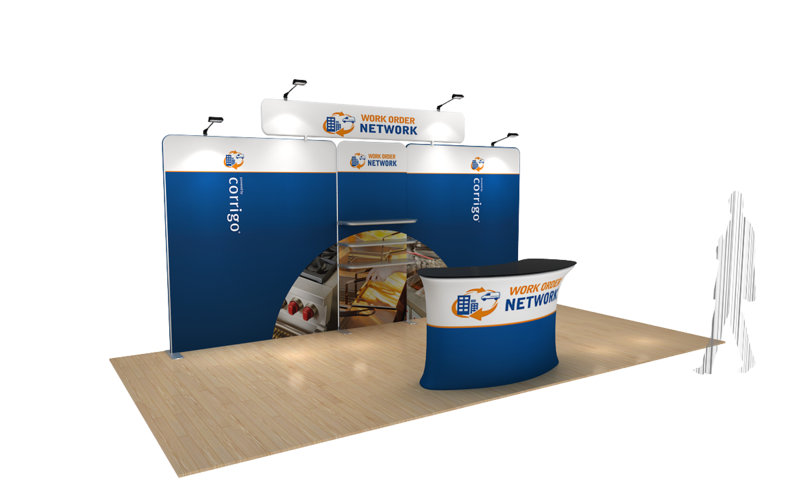 If your booth configuration changes depending on which event you are attending, then this kit will solve the problem. 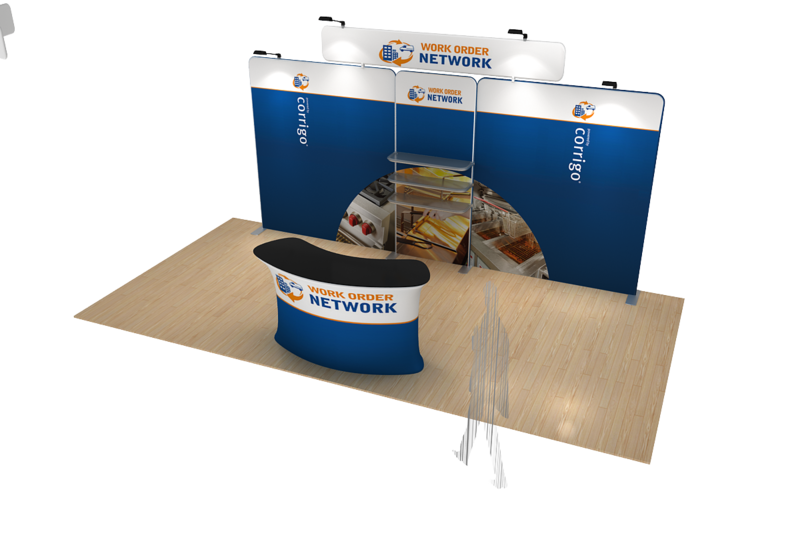 Take the basic booth structure and then add to it as needed. Rev it up or cool it down as required. 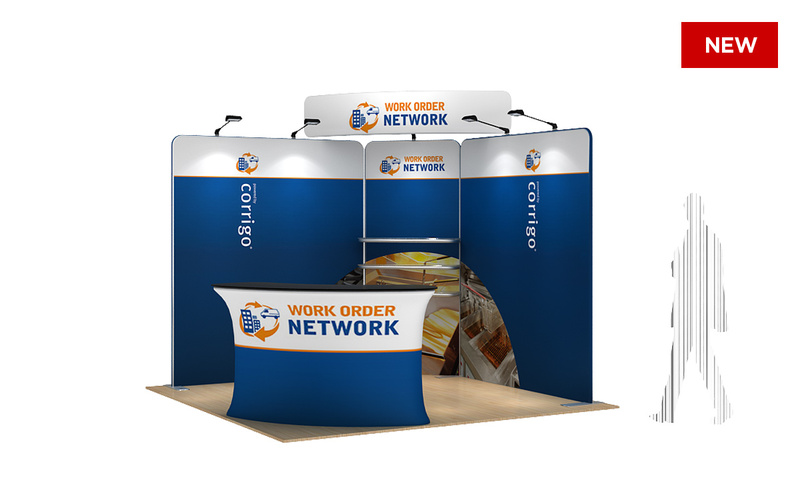 This modular display kit is made up of easy-to-assemble components. Aluminium frames with fabric graphics that fit tightly. The frame components are all clearly marked to make assembly a breeze. The fabric graphic is a high quality, medium weight, polyester with a high resolution print. Your artwork will look amazing. If you have product to display then add some shelves. Easy. Each shelf will hold up to 10kgs and is approximately 72cms wide x 35cms deep. Customise your display with a header board. 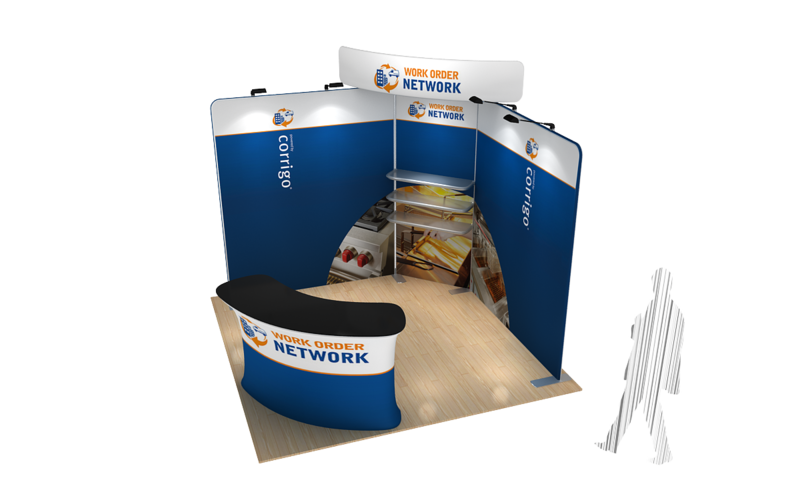 The headers attach easily to the walls and add a whole new dimension to your exhibition stand. The print can be easily swapped allowing different brands to be promoted. If I buy a 3x3 corner kit can I extend it into a 6x3? Yes, the 3x3 display size can be just the starting point. 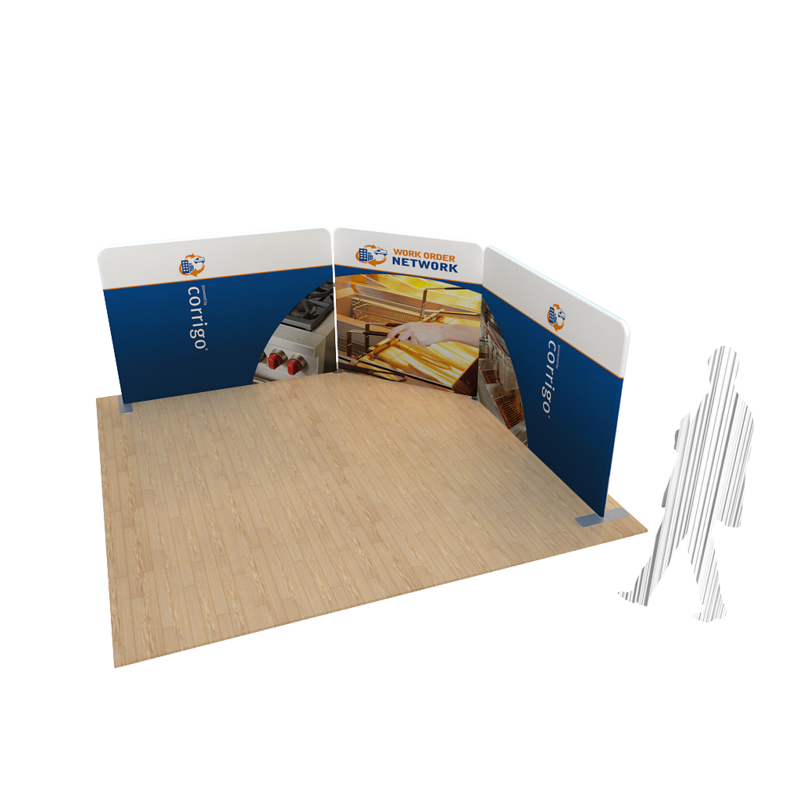 In the future if you book a larger space, you can add to your existing display kit with additional walls or features. Can parts of the modular display be re-skinned if we need to change our branding? Yes, all the components that have printed graphics can be updated at any time. You can change the whole display or just parts of it. 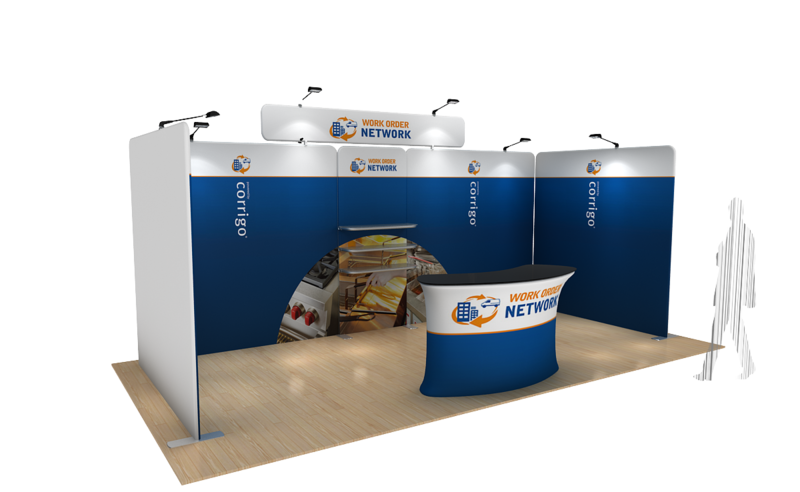 "Flat Planet was very happy with the quality of the stand and the excellent customer service offered by Displays Direct. Our stand at Cebit made a big impact and attracted a lot of attention. Our sincere thanks to Displays Direct team."